Course Website: Official Website - Visit Wilderness Club's official website by clicking on the link provided. 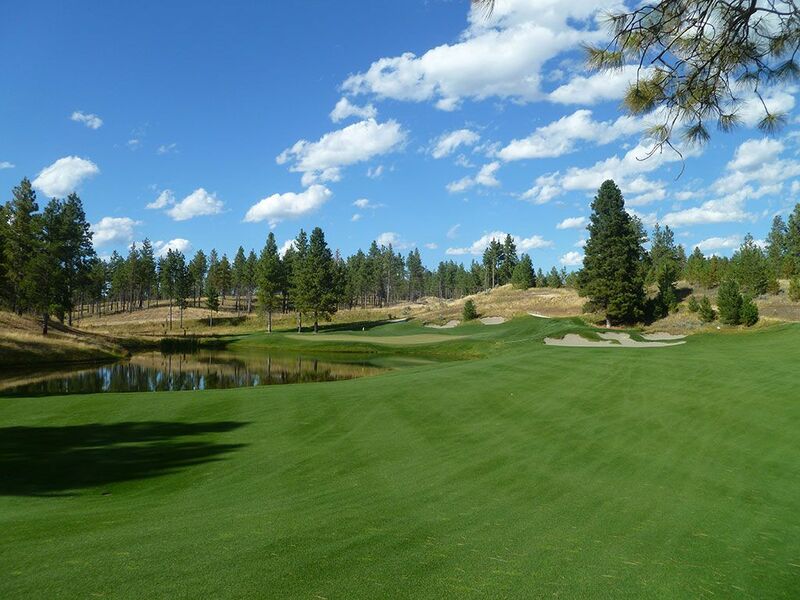 Accolades: Ranked 4th in Montana on Golf Course Gurus' Best in State list. 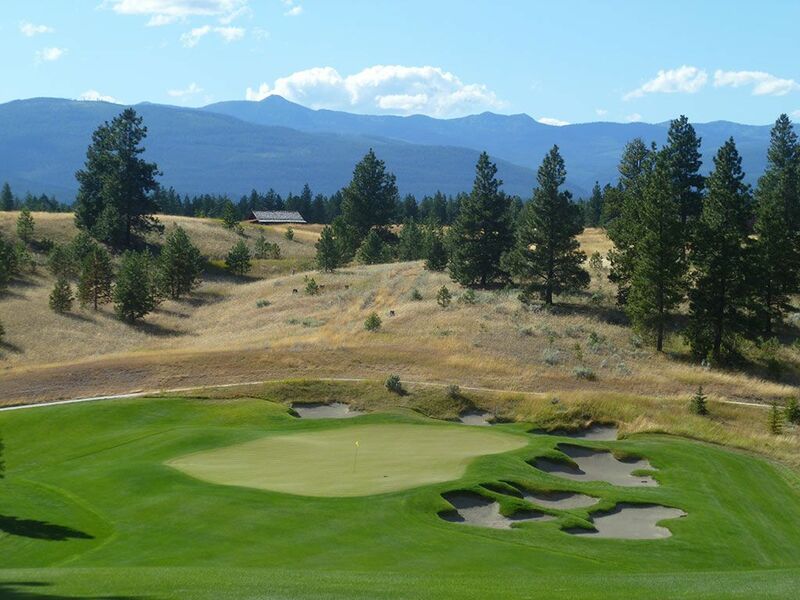 What to Expect: Located just a couple of miles from the Canadian border, The Wilderness Club is appropriately named due to the remote location. Nick Faldo was commissioned to offer his expertise as the course designer at this property that started as a private club but was later opened to the public to enjoy. The surrounding mountains provide a stunning backdrop for many shots you’ll have throughout the day while the bunkers and water hazards offer eye candy within the bounds of the course. The course starts with a couple of warmup holes and then is really amped up through the middle of the round before dialing back a bit in preparation for the stunning finishing holes. The conditioning of the bluegrass fairways and bentgrass greens is excellent and the setting reminds me of something you would find outside of Coeur d’Alene, ID. Fescue lines the outside of the fairways and provides a variety of different lies and challenges. The vast majority of patrons are going to ride a cart at this course that offers some significant elevation changes at times throughout the routing. 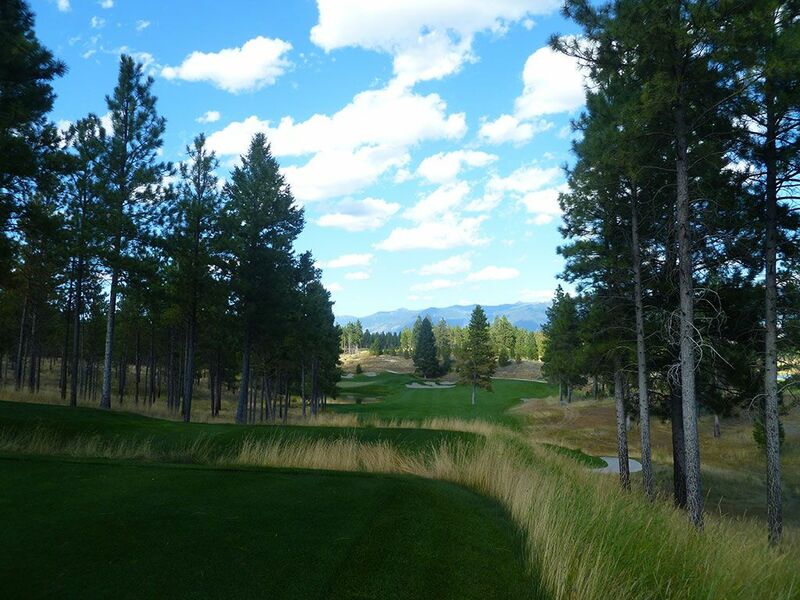 The Wilderness Club is comfortably in the discussion when considering Montana’s best courses and offers some of the best, most memorable, holes in the state. Signature Hole: 12th Hole – 557 Yard Par 5 – Dramatic and daring, the risk/reward 12th is an exhilarating design that embodies the best of what The Wilderness Club has to offer. From the tee little club is offered of what to expect, but after hitting your tee shot up the fairway players are blessed with a stunning view of the second half of the hole from the largely elevated fairway. The hole tumbles down to a lower fairway that turns to the left along a large pond to a green tucked behind the water. 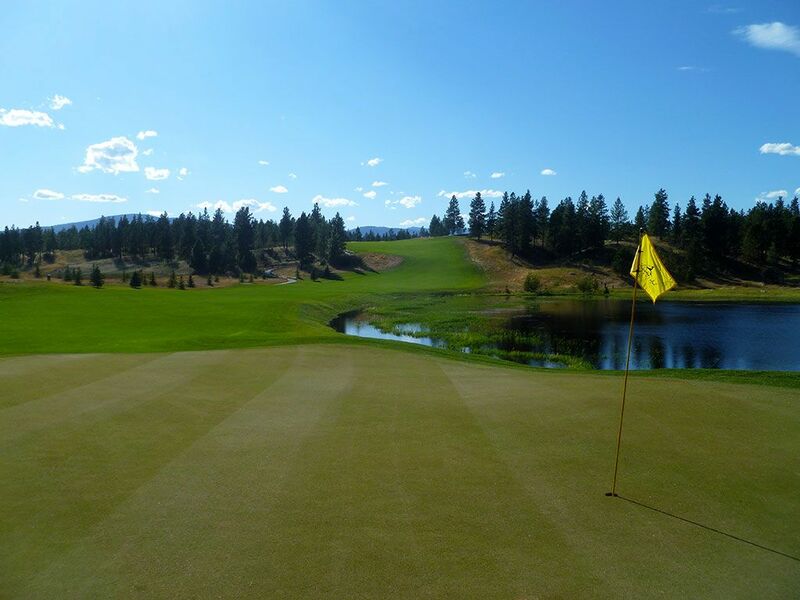 Other than the far right side of the green, the wide and shallow putting surface is surrounded by bunkers and calls for a draw that starts over the fairway and works its way towards the water in hopes of finding the green rather than the hazard or bunkers. Visually it pairs with the 18th hole as the most impressive eye candy on the course. Best Par 3: 17th Hole – 175 Yards – The picturesque 17th plays along the north shore of Grob Lake and offers a formidable challenge. Four bunkers are found around the green with one of them resting between the water and the putting surface. The green angles left towards the water which sets up a sucker pin location in the back left of the putting surface. This scenic hole is the perfect prelude to the outstanding finishing hole. 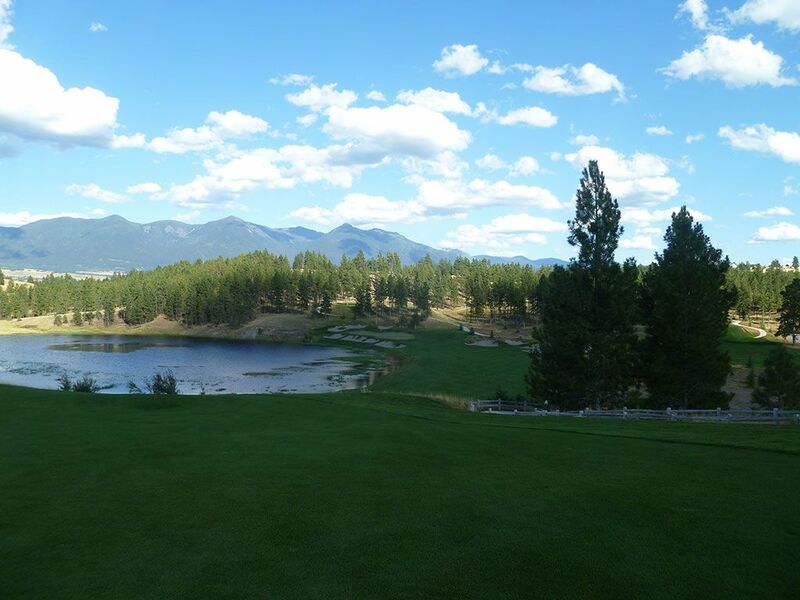 Best Par 4: 10th Hole – 320 Yards – My favorite hole on the property! 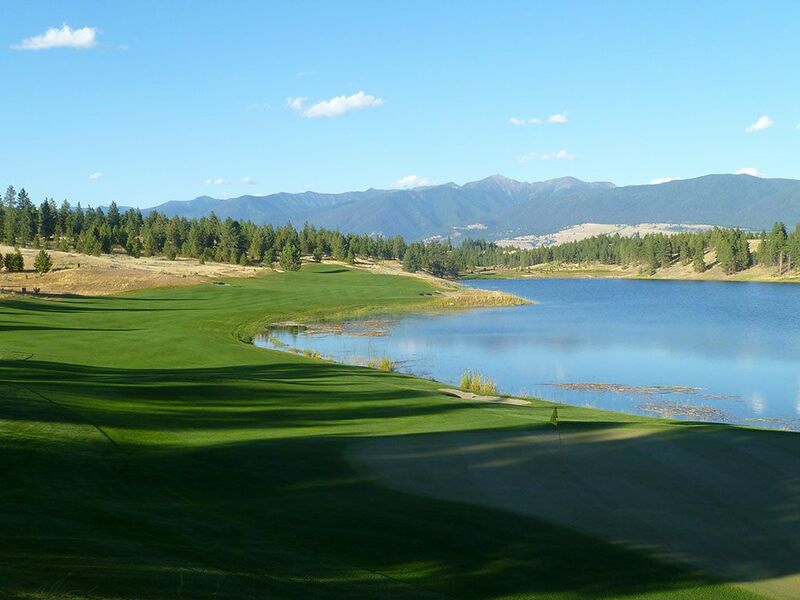 This driveable par four becomes all the more tempting to try and reach in Montana's thin air that will allow your ball to carry those extra precious yards. Players going for the green will need to carry the pond that fronts the entire putting surface if they want any chance at rolling in an eagle putt. A backstop with a pair of bunkers rests behind the green to help slow down tee balls coming in too hot which can particularly be helpful when the hole plays downwind. Players laying up the right side of the hole will need to avoid the tree in the fairway and find the generous landing zone beyond the pine which allows for a comfortable 100 yard wedge shot to the pin. 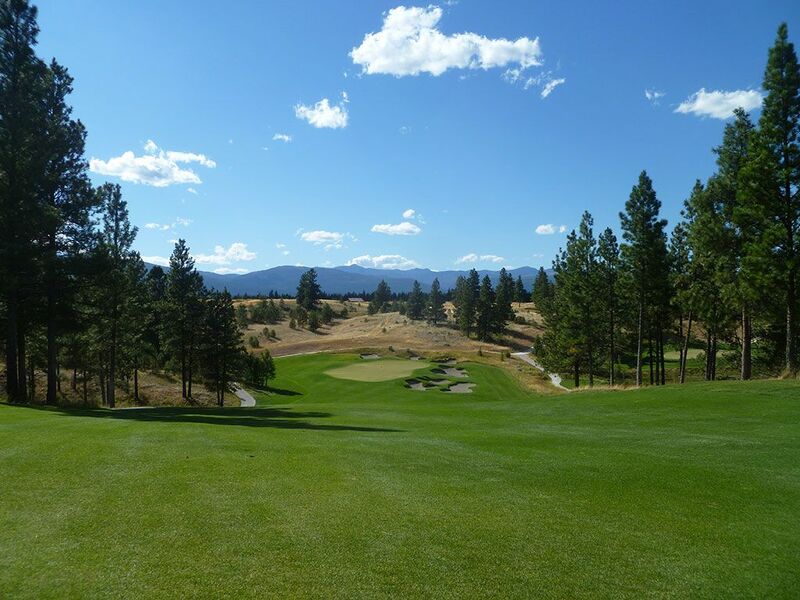 A variety of options and impressive mountain scenery combine to create an awesome way to start the back nine. 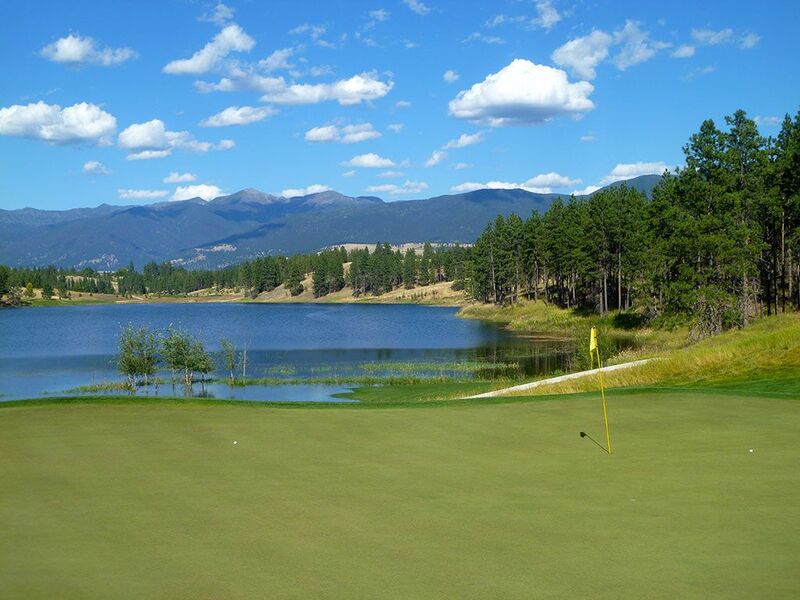 Best Par 5: 18th Hole – 593 Yards – Montana's best finishing hole in the state! 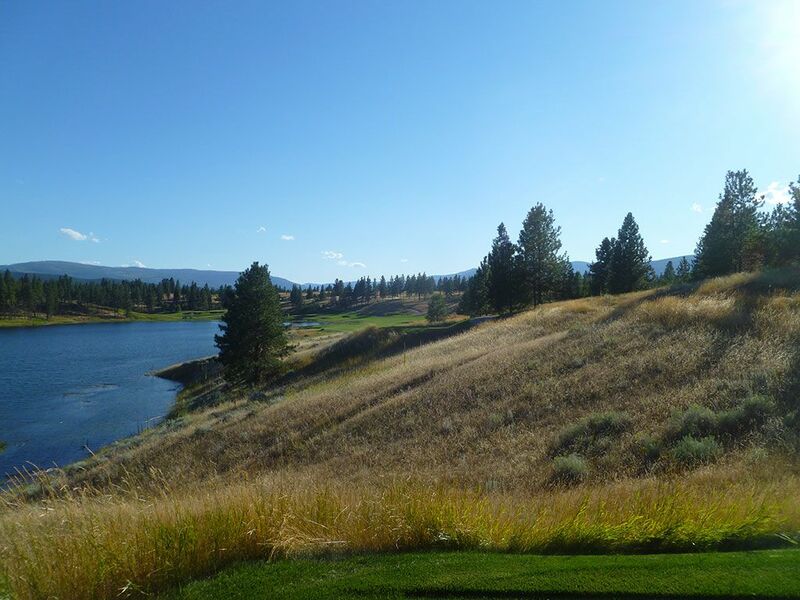 This lengthy closing hole plays along the western shore of Grob Lake and is framed by fescue and trees. A large bunker on the left and two smaller bunkers on the right create havoc in the landing zone for many drives before the before banks left and rolls downhill. A series of bunkers cut from right to left short of the green and act as an additional challenge to contend with if trying to reach the putting surface in two. 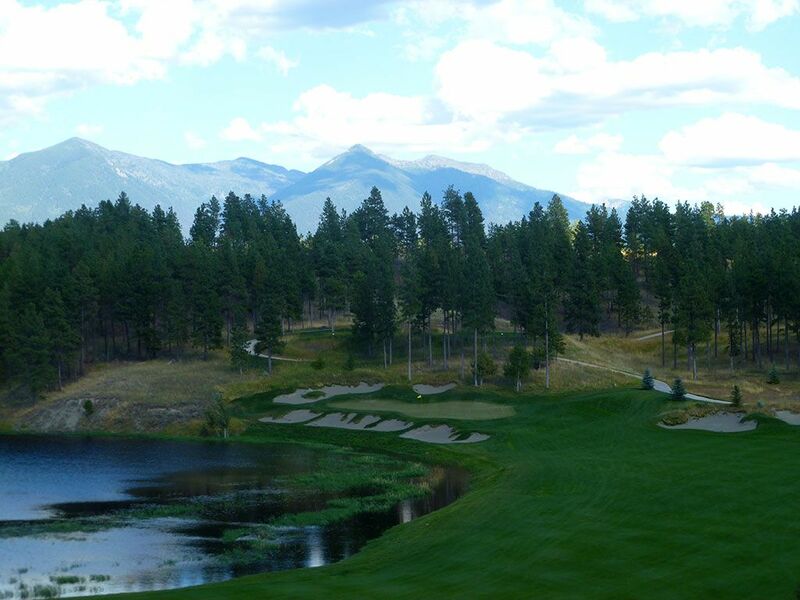 The attractive setting and formidable challenge team up to present one of the strongest holes in the Montana. Birdie Time: 13th Hole – 153 Yard Par 3 – Short and sweet, this uphill par three provides one of the most simple approach shots on the course. Bunkers front the green as well as the right and rear but leave the left side wide open. The circular green is plenty large for such a short hole and offers forgiveness if you are a bit off with your pinseeking efforts. With a perfect lie and scoring club in your hand, take advantage of the 13th and roll in a bird. Bogey Beware: 9th Hole – 503 Yard Par 4 – When I think of The Wilderness Club, this hole is often the first one that comes to mind. From the tee the hole looks fairly unsuspecting, but if you manage to bust a big drive up the fairway you'll be presented with a long approach that plays 1-2 clubs less downhill to a green peppered with bunkers on the right side between the putting surface and the water. With a patch of waste area cutting through the fairway 25 yards short of the green, plays will need to carry their approaching shot aerially most of the way home to stay out of trouble. While not as impressive or daring as the approach shot to Pebble Beach's 8th green, that same visual is what I thought of while taking aim at the flag.